Here is a brief manual how to pay for our services using Interkassa. Interkassa is a payment acceptance and gateway system - a universal complex, that helps merchants receiving payments in a very easy way. You don't need to implement API for accepting payments from dozens payment systems on your website. It is also very easy for customers, has a very simple interface with some options. Unfortunately, the interface has only 3 languages that may be not enough for our clients, so please choose English. Which payment systems are accepted? Using Interkassa, we accept direct payments using Visa and Mastercard cards, Payeer, OKPay, Paxum, Webmoney, Qiwi, PerfectMoney, AdvCash etc. 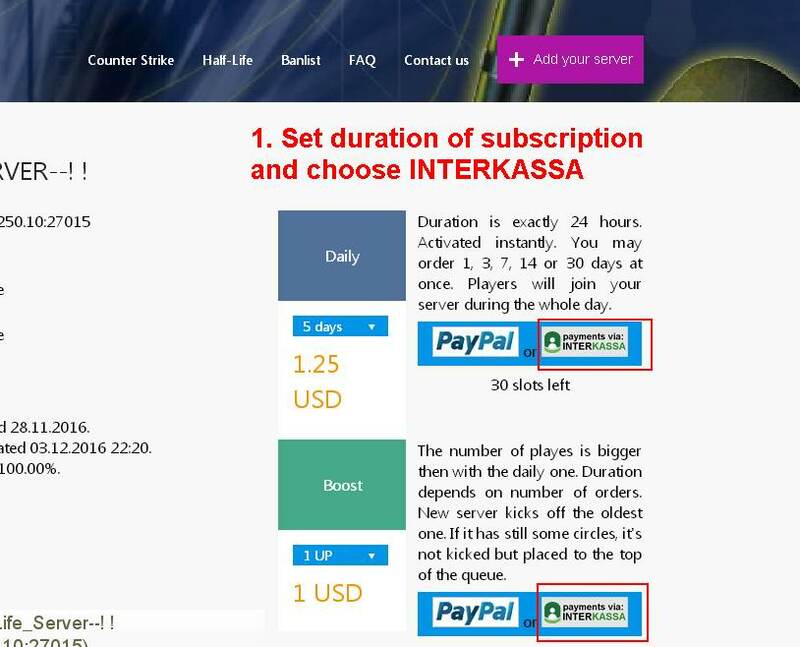 How to order a subscription and pay using Interkassa? You will be transfered to an order processing interface and first thing you may want to do there is to choose an English language if it was not set automatically. This menu is at the top. Then look at the list of all available payment systems and choose the one you use or you have account in. Many of selected payment methods including Visa and Mastercard support choosing a bill currency. We recommend you to choose a currency of your bank account yo avoid extra conversion fees that usually apply for foreign transfers. Then check your email - it is the same you entered at our website when placing an order. At this page you will see exact amount you will be billed. Activate the checkbox "I've read agreement..." (or course, after reading it) and the Pay button will be enabled for you. Click it. If you have no accounts in any of those payment systems, you may choose Visa or Mastercard. The screenshot below is similar to that you will get if you choose VISA. Again there is a bill amount, pretty trivial fields where you should enter your card number, expiration date and security code (CVV2 or CVC). Then press Confirm. If your card account is connected to 3DSecure, you will be redirected to your bank website to confirm your payment. If you choose any other payment system (for example, Webmoney), you will be redirected to standart interface of the payment system after step number 3 or 7. 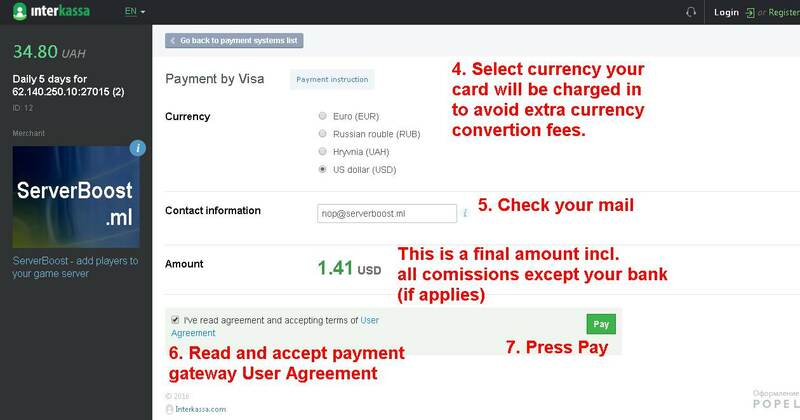 The Visa/Mastercard payments are tested from these countries: Bulgaria, Czech Republic, Cyprus, Greece, Poland, Slovak Republic, Georgia, United Arab Emirates, Latvia, Lithuania, Estonia and most of xUSSR countries. If your country is not in the list it does not mean your payment will be declined, but if so, please write us using contact form and try to use PayPal.